WHICH IS EASIER? BELLE FIRST OR MARRIAGE? I am here again! I know some people are already saying...ah! Sisi Yemmie haf carried belle oh....! Before una go carry kpangolo dey knack round village square, no be so! I was talking with a friend of mine and she was ranting about how much she's got to spend getting married because of all the ceremonies. Seriously! Weddings have been going on since the beginning of time, you would think things get easier but NO! We have to go through the whoooooole process! Hian! Bellanaija is not helping matters with all these lavish weddings they showcase. So first is the Introduction, which I think is just an opportunity for people to spend money sha feeding uncles and aunties that we will still see on the wedding day. How about we have a video conference on skype?? "Hey great grand uncle Lagbaja, meet my fiance Bobo"...and then they high five the screen. How about that?! It costs money to pay for the T-Fare for these people (yes u will b the one footing the bill for some), you will house them, feed them, I think its a waste of expenses. Secondly is the Registry which all mothers will warn their pikins to do registry if you don't want mago mago when you are married! Yeah, I support the registry, but it is still another avenue for spending money. Cos people will want to escourt you reach there and you cant' tell them oya bye bye from the court, without entertaining them!lol. Best thing sha just fix am for Monday morrin, make we see who wan play with their job. Desperate time calls for desperate measures. Forthly comes White Wedding, which to be honest I think Pastor should come for Trad wedding ("Where two or three are gathered in my name, the Lord is with them"... Matthew 18:20) and do the blessings once and for all so that we don't have to rent hall twice or kill Melu (cow) twice becos its the same people that chop the rice Friday that will still come Saturday with Ghana-Must-Go bags to "take away". If we do the ceremony once, food go reach for all Uninvited Mogbo Mo ya guests. I have purposely omitted this new Pre-wedding abi Post Wedding party people do now. Una no go kill person. When a young couple sees all these ceremonies and expenses in front of them, tell me which one they will think is easier? To do the wedding or just carry belle make everybody answer their papa name? When pesin carry belle all these protocols will dissappear and you will start hearing things like "all that is important is that you are in the Man's house.lol. For those who have scaled thru, I hail! For those like me who are yet to,God help us! So, I'm first. Kudos to me. The traditional wedding is my favorite as well. I guess, they made it such that each event has its own significance. If you don't do one nah, e go be like sey you no complete am. Weddings get level oh. Go to BellaNaija, you go fear. I read babes say on BN that they dream of weddings like Adenuga or Dakore and I fear, Maybe their papas are Obasanjo. Me I did as our hand reach sha, even though my parents almost vex me by calling everybody join. But no, getting belle no be excuse, even some people carry de belle still do everything. LOL.. I swear, you must have ben reading my mind!!!! The more unfortunate part is when the bride is still in school... hehehehe .bobo go spend die!!! Because no one is expecting babe to have money to spend. Abi, se make I go marry now ni? infact, shake my hand for that fantastic idea! hahahah! i luuuuv this post.. you're hilarious! some ppl do only trad marriage sha.. so its not compulsory to do white wedding but if u're a christian its better to do that. lool @ the disclaimer at the end. I have told my mum that I want my wedding to be 'Strictly by Invitation' with bouncers at the door, just like they do in the western world. Your name will be on your seat. But trust naoja parents naa, she and my in-laws wouldn't agree. My mum said 'what rubbish, am I asking you to bring monwy for the wedding?' You can imagine, I was only tryin 2 be considerate o.
nice post and you have a point. money just fly out of your pocket for these weddings. glad im not to that point just yet cuz i dont even know what i would do to come up with money for all that lol. I love my yoruba traditional wedding and i'm looking forward to that. That's the one i'll be inviting everyone to. For the rest i'm doing it small o, i'm definitely cutting my coat according to my size o.
its because of this some men delay in getting married....just to save enough money for pre wedding...wedding...and post wedding...it is well!! you dis gal! you don come again! see me as i dey laff all over my laptop! esp @ putting registry on monday & see who wan joke with im job!..hahahahahhahhhahahahaaaaa....na wa!....well, to the question..marriage first oo!..no enter man house without im doing anything..even if na small, becox tomorrow, he fit come dey blow grammar if one okpeke winchy catch am for outside ooooo. It can be done low-key. First, the introduction can be strictly btw the parents & siblings within the same environment. 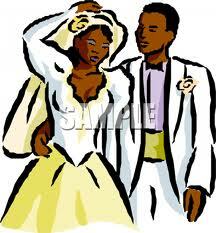 Then the registry should be done during the week just btw the couples & 2 witnesses. The traditional & church wedding can be done the same day; The traditional wedding 8a.m-10.30a.m, white wedding 11.00a,m, so the reception would be the same. some don't rent venues, but do it in their sitting room, with only a canopy outside for the over flow..only immediate families & few friends.Some simply have the registry with very close friends then go to an eatery, then later go to their pastor's office for blessing..Q.E.D!...hahaha. LMAO!!!!! wow!!!!!! that was hilarious! lol sis yemmie i love how u analyzed everything....and traditional wedding is def my fav...lmao @ skype convo with the family..hehe.it depends on the couple o jare even with the plenty wedding pix we see on bella naija i know alot people that still do low key celebration. Lol! What a topic! I totally agree that weddings these days are carnivals. It is so unnecessary as a lot of the time the focus is on the wedding and not on the marriage. To answer your question, I would say wedding first. However, I say this because I am the sort of person that can insist on (and get) a 30 people-in-attendance-wedding. And my family is HUGE!! Money does not grow on trees people...or do this...a medium size traditional wedding where all and sundry can attend. A registry wedding during the week (like Wednesday evening) at a location that will be announced only a few days to the wedding to a select few. You get my drift? All this many ceremony when person dey do on different days, which of them go come be wedding night? is it after the Registry?or after the trad? or after Pastor Bless una. this is so true, I don't understand why pple don't get the fact that the wedding is just a day or two but the marriage lasts a lifetime. the kin gbese wey pple dey enter ontop party, I fear sha. I don't like big weddings, it's so impersonal. SMH. my dream wedding will have 150-200 pple. Aah! Sisi Yemmie, u av come again....lwkm! Really laffin @ Skype intro mimos...not a bad idea at all....hehehehehe. True words o...weddings take away not a small part of ur entire savings......the expenses keep mounting......the paparazzi is three much, the list of endless things to do....all for 3/4 of peeps u avnt even seen ur whole life to come n eat....anywayz, its good sha, at least they are rejoicing, but is it really worth all the wahala n spendings? Trads are my fav too....they are always very colorful n interesting! Our cultures are indeed very rich. This post is tewwww funny abeg. Bella Naija sure is not making things easy at all! Lol. looooooooooool. Oh dear, some mothers do have them aye? I was at a strictly by I.V wedding 2 saturdays ago, men that's the way forward oh. Omo, see bouncers for door. If you nor wear aso-ebi oya show your I.V lol. Weddings are a bit over exaggerated on this side of the atlantic jare. Nice one! I dont want a big wedding and that's the end of that. Bobo(whoever he is), my family and his will just have to comply. I am encouraged by stories of people who got away with it so i know its possible....msheeew. post wedding party ni, pre-wedding party ko. If they vex me too much, we fly go Vegas sef....all that I'll do rather than belle before. Haha at this post. Honestly oh, the marriage process is a horrible way of spending money! I'm planning to elope for my christian wedding. Traditional will be a problem. I'm liking that skype for introduction and Monday afternoon for court haha! Belle before wedding ke? Lailai i dont want. I want to be able to boogie down to the floor in my gown. You are gift to your husband so allow him spoil you and cater to you. Na woman, marriage dey honor oh, men no send, infact you are making their life easy. Great post, weddings are always surrounded by unnecessary fuss and over doing everything, sha what can you do when it's tradition. There's so much pressure and it's easy to get carried away!! I told myself that anything that wouldn't directly affect my "marriage" was not important for that one day, so I broke as many rules as I could get away with, had my trad and white on the same day, and had fun! Counting the money we made from gifts and spraying felt good. Not owing anyone felt even better! Abeg don't carry belle oh! no need! anywho, about the post sha, of course belle na easier than marriage lol. doesnt take much to get pregnant and let the rest unfold. but im hopefully waiting for the ring, the vows and the house 1st. LMAO!!!!! This was too funny! I personally believe you should get married before you have a baby but not necessarily have the wedding. a simple ceremony or just a visit to the courthouse is all it takes. 25 people is a crowd for a wedding sef! Thank God say my papa go agree with me on top that matter! I love your blog! I retweet it whenever you write and I have sent your link to my friends. You have a great talent! Well done! I agree, a wedding should be one event in one day and done! I discovered your blog three hours ago and have been reading thru 'em all, but this is the first one I'm posting on! It's hilarious, and u know what?it's across de board! I'm not even Nigerian, but this is very common with us too...belle before is looking very inviting! anyway sha, kudos to you, U are hilarious. Now back to the blog...its midnight and I'm still here...I'm gonna be sorry tomorrow but who cares? You are fun! LOOOOL!! The funny thing is that my boyfriend suggested this. He said we should just get pregnant so that our people will rush and do all the necessary things for us to marry sharp sharp. Hahaha!! yeye! HOW I SPENT £2500 ON A BAG!! !